Weary after my overnight flight from Milan (mental note: never travelling around the world eastbound again), I collected my bags and made tracks for Hong Kong Island, and boarded one of the islands famous double decker trams for my accommodation. Boy, was that a challenge. There was no shortage of obstacles to get in my way, from the sneaky stairs that are steeper than they appear to the locals transporting all manner of goods in the aisle of the tram. Fear not, for by now I was an intrepid traveller, well accustomed to the challenges of manoeuvring my rolling life behind me. Once I’d delivered my belongings to the hotel, I made a bee-line past the Unicorn Trade Centre for the less imaginatively titled Mid-Levels Escalators. This is apparently the world largest outdoor escalator system, transporting people up to 130 metres in elevation up the hill. 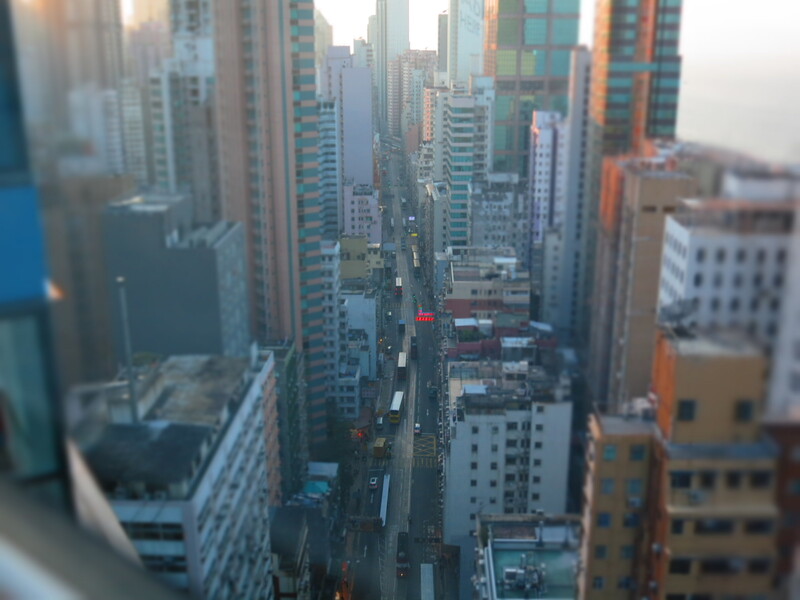 I was intrigued by the idea of using escalators as a means of public transport, which allowed people to effortlessly climb and descend the very steep cliff faces of Hong Kong Island. 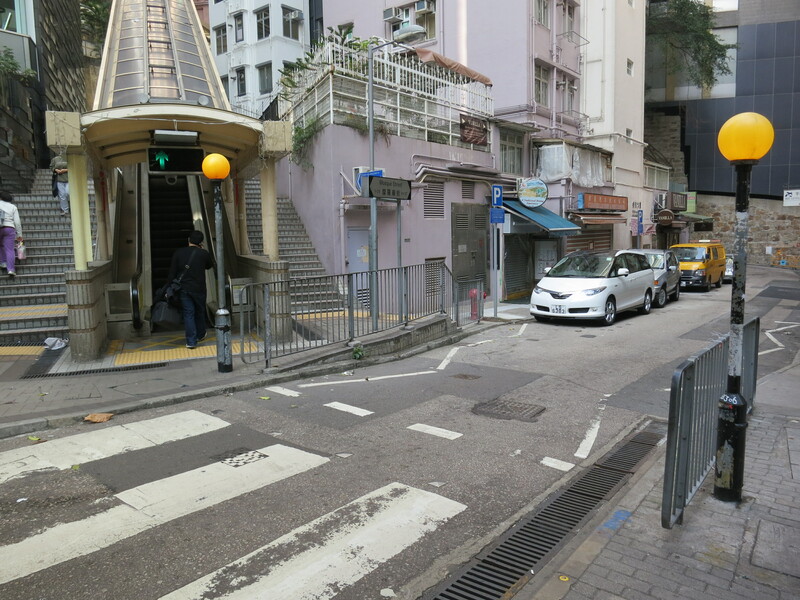 The sheer presence of the escalators had unlocked new entertainment districts along the ascension to the top, not surprisingly entitled the mid-levels. 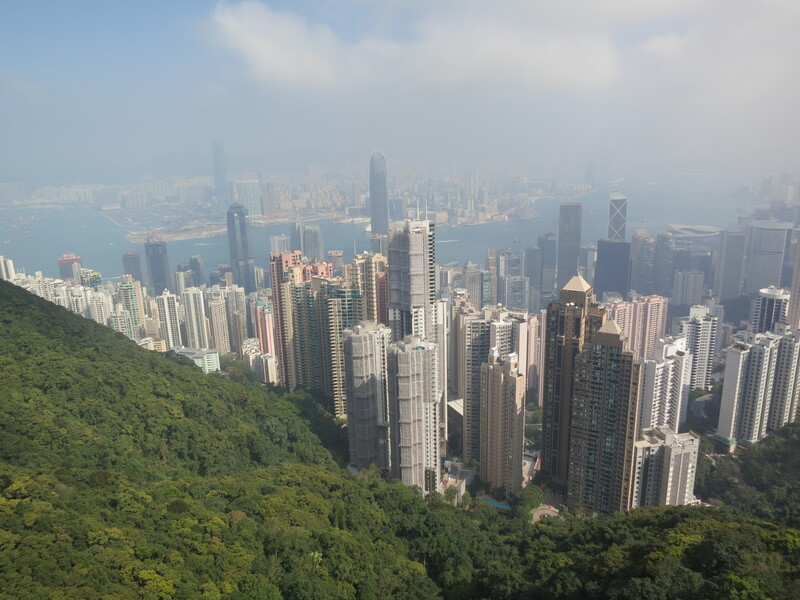 After a short trip up the dizzyingly steep funicular to the Victoria Peak, I spent a good afternoon of time in the afternoon admiring the incredible architecture, the busy hum of the islands shopping centres, and the never-ending stream of people going about their daily business. Hong Kong is one of the tourist and business hotspots of East Asia, but the sheer density of people in such a small space means this is very easy to forget. Unfortunately, my trip was disrupted by a handover by my new boss. He informed me he was leaving on his period of leave before I returned, and I was suddenly in charge of a brand new team, with someone I’d never worked with before, and a fresh graduate engineer who hadn’t previously worked in the field. 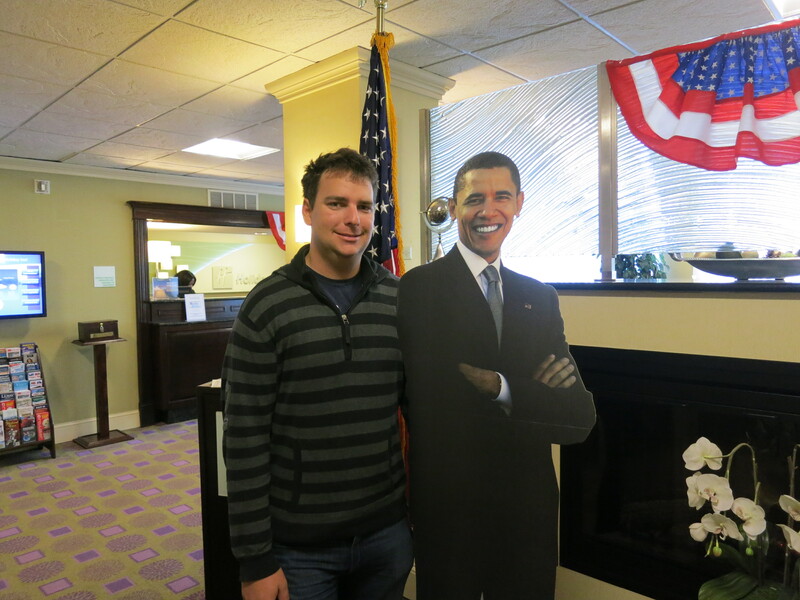 Supposedly, I owed him two hours of my time. It was now that my holiday delusions have suddenly been replaced by the realisation that in just a couple of days, I would be back at work. I left the hotel and travelled to Central where I met a friend from high school Karmen, and her partner Ashton, who had moved to Hong Kong some time ago. 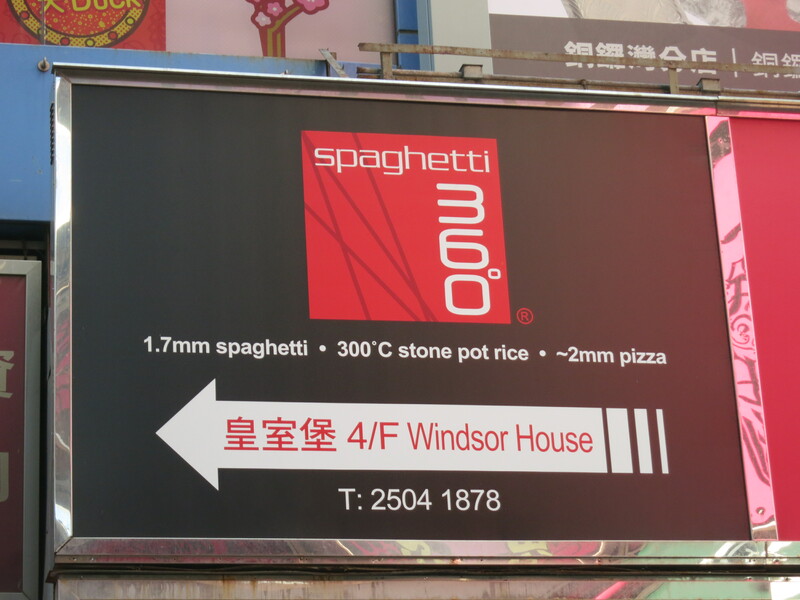 After meeting for an inexpensive cocktail at a hole-in-the-wall bar, she escorted me to Causeway Bay where we dined at a local restaurant for some of the most delicious Chinese I’d ever been privileged to enjoy. I re-joined Ashton the next day, for a zippy tour of Kowloon’s hotspots, from the frenetic street markets, to the dazzlingly humongous shopping malls. 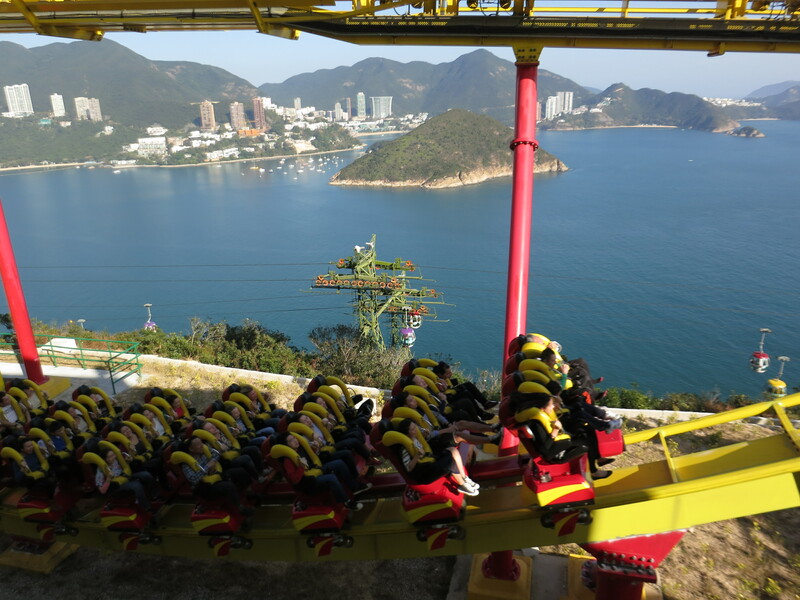 On my last day, I skipped the relatively juvenile Disneyland and hopped on the bus for Ocean Park, a home-grown theme park set atop the cliffs of Hong Kong Island, with amazing vistas of the South China Sea; think Taronga Park crossed with Dreamworld. I had a craving – a craving for rollercoaster. So I went in search of the most thrilling rollercoaster I could find, and smelled the great scent of success, and salty sea air, at the Hair Raiser. Four inversions, million dollar views, and a phenomenal ride. It was a fitting end to a most amazing 68 day journey around the world. The whole trip zipped by, seemingly, just as quickly as the 60 second rollercoaster ride that concluded it. The window seat of my Boeing 737-600 had no window, which was very frustrating, given of all flights, the one from Stockholm to Kiruna, located just inside the Arctic Circle at 67.5°N, would have been one of the more spectacular ones. Walking down the stairs onto what should have been the tarmac but was instead a sea of beautiful white snow served only to confirm this. This was also the part of the holiday that stubbornly refused to work out. Air Berlin rearranged my onward flights from Stockholm to unacceptable times threatening to throw the whole arrangement out, the Aurora Sky Station cancelled my planned overnight tour on me with one day of notice and failed to properly communicate the alternatives, and the town was very close to booked out, in part due to a planeload of Japanese package tourists who arrived on a special flight half an hour after I did direct from Tokyo, one of four that run each winter. Here, the days are short at this time of year. For a couple of weeks a year, the sun does not rise at all. But I had the luxury of 9:15 sunrises, so for the first time in quite a while, I got to witness it an incredible golden sunrise in all its glory. Midday also pretty much looked like sunset, with the solar altitude peaking barely 4° above the horizon. But the long nights were excellent for the reason I travelled to this faraway place, was to see the Aurora Borealis, and I wasn’t going to let that slip by. Given the Sky Station threw my train trip and overnight plans into disarray, I was forced to hire a car and go there myself. 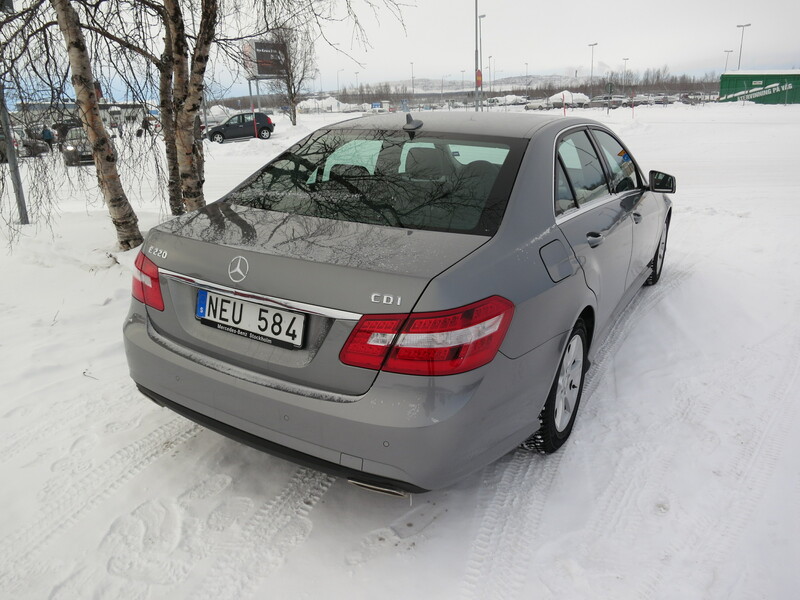 I booked a compact car through Avis (nominally a Volkswagon Polo), but was instead given a brand new Mercedes E220, with less than 500km on the clock. Oh, if only the operational upgrades with the work hire cars were that luxurious. Things were finally looking up, as was I, as I sat in a chairlift at Abisko, 90km north-west of Kiruna, making my way on a twenty minute long chairlift ride up the mountain in darkness and extraordinary silence to the Sky Station which claimed to have unusually cloud-free weather for the region, and some of the best Auroras around, being perched on a mountain and away from light pollution. 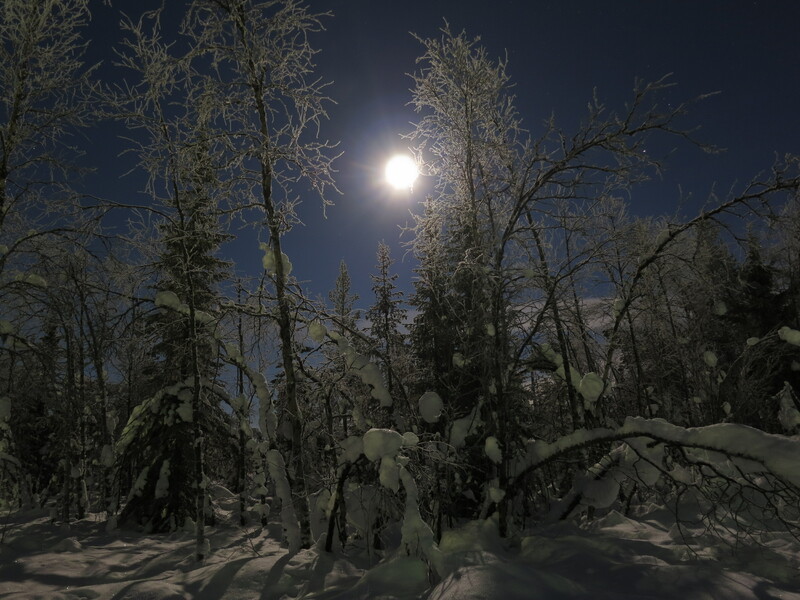 I stayed for dinner, and ate some roast moose, and afterwards spent a couple of hours lying in the snow looking upwards, seeing nothing but clouds that stubbornly refused to disappear. Midway through the evening, it began to lightly snow – I frowned. I could tell that the Aurora was happening, very occasionally I would see green glowing through the clouds, or a quick streak in the minute gaps between clouds, I was simply not lucky enough to get to see Aurora Borealis in all it’s glory. 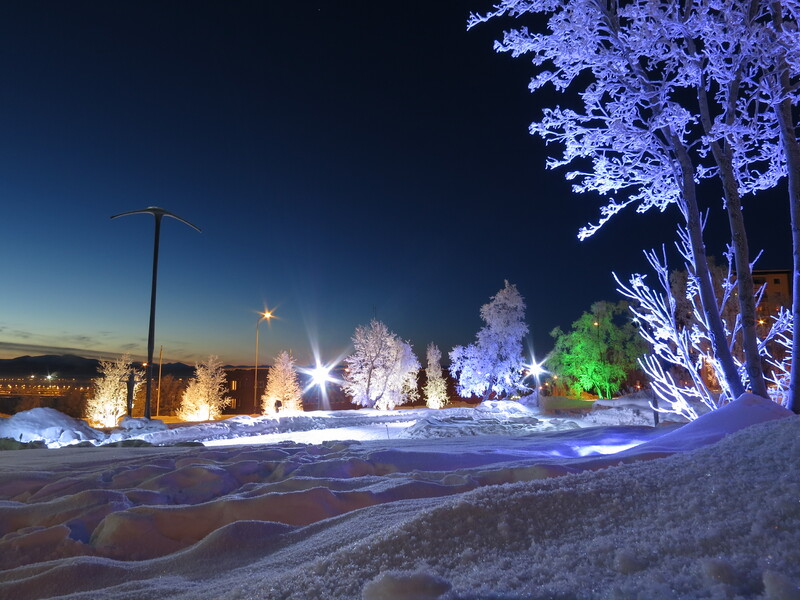 Disappointingly, I made my way back down the hill just before midnight, and made the 70 minute journey back to Kiruna for the night. The next morning, I met up with a person from the internet, and went to visit the Icehotel. This place is painfully reconstructed every winter, and never has the same room designs twice. 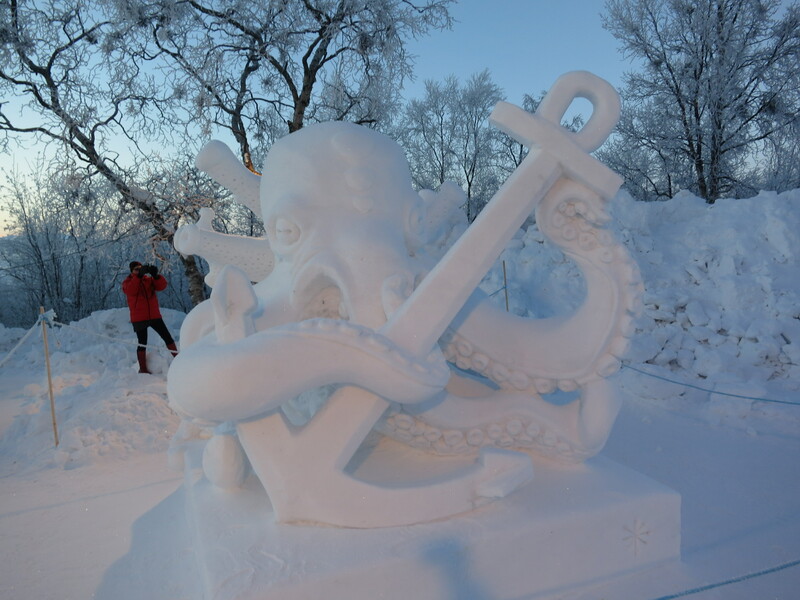 The suites all have incredibly unique themes carved out of the ice by local and international sculptures. The rooms are impressive and works of art in their own right, and it is lucky that they are open for viewing during the day while the guests are not there. 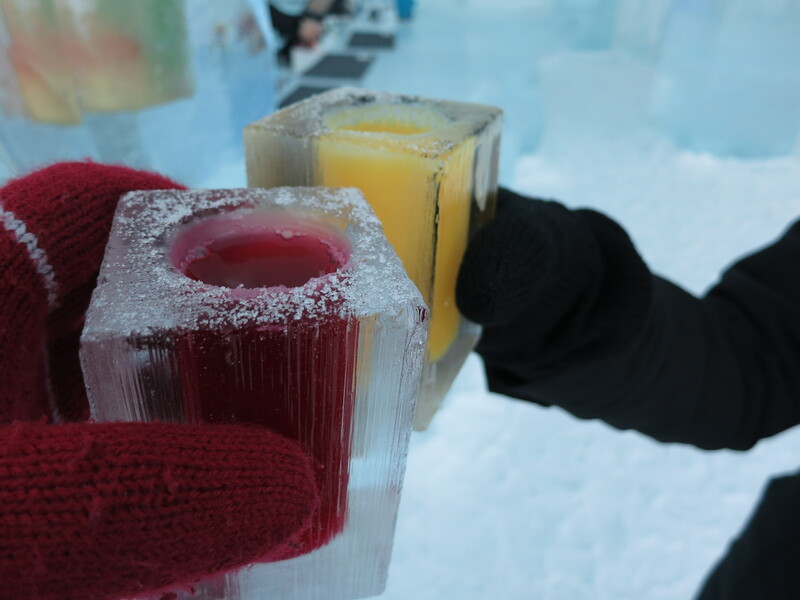 The walkabout ended with a stop at the bar for a lingonberry juice served from a glass fashioned from ice, of course. Believe me, it tastes much better here than the concoction spewed from the soft drink fountains at Ikea. 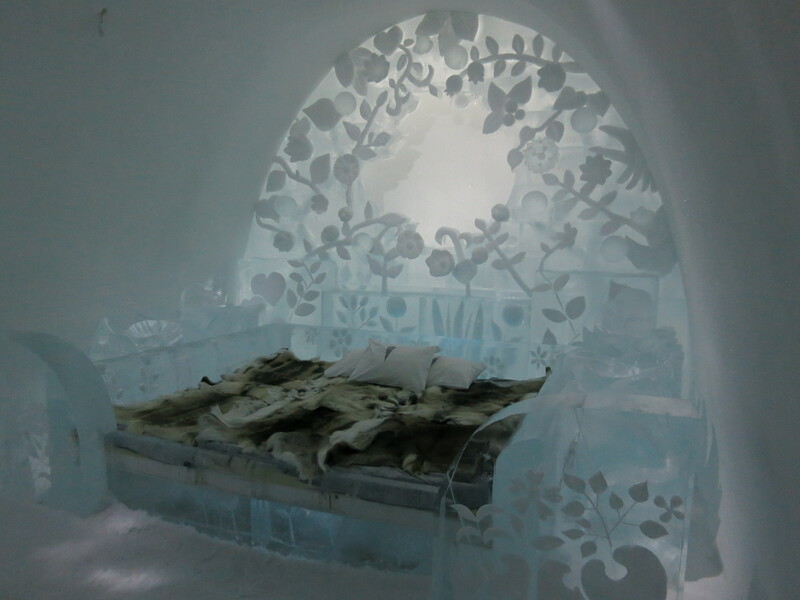 There is one slight issue with the practicality of the Icehotel, which is that the rooms lack toilets. Visiting the loo in the night requires putting on boots, and going for a reasonably long walk to another building to do this. Not so good when the biting cold serves only to increase bladder activity. Afterwards, we took ourselves on a bit of a walking tour of the city. 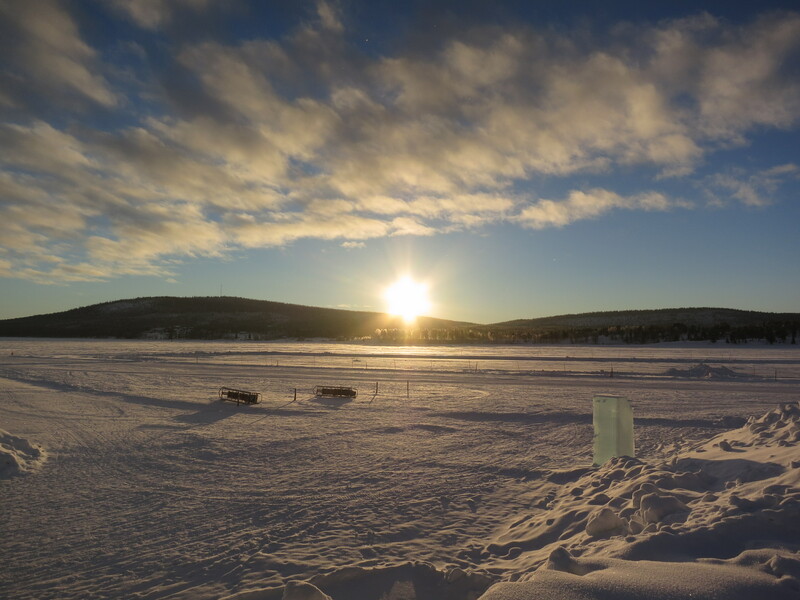 Behind all of the tourism façade, Kiruna is a mining town at heart, with iron ore the commodity at the government owned mine just a couple of kilometres from the township. Thankfully though, Kiruna is no Moranbah or Port Hedland. Wages are high, but not ridiculously so, neither are prices. The hotels are not total rubbish, but functional and pleasant. It’s not a dirty place, or if it is, the snow and beautiful wilderness did an excellent job at masking that. Most importantly, it still has a family atmosphere that the FIFO communities lack. But the underground mine is getting old, and interestingly, plans are afoot by mining company LKAB to move the entire city centre further east to allow them to dig until around 2035. An international design competition is currently underway with the designs of six firms on display at the City Hall, where residents can vote for their favourite design. Kiruna, still shares the same Swedish oddities I’m told are experienced all over the country, for one, any alcohol above 3.5% alcohol content can only be sold unchilled from Systembolaget, a government run liquor chain with high prices and limited opening hours. Another is that to work around Sweden’s minimum driving age of 18, youth buy and sell ordinary cars registered as tractors, speed limited to 30km/h but otherwise perfectly legal for operators over 15. 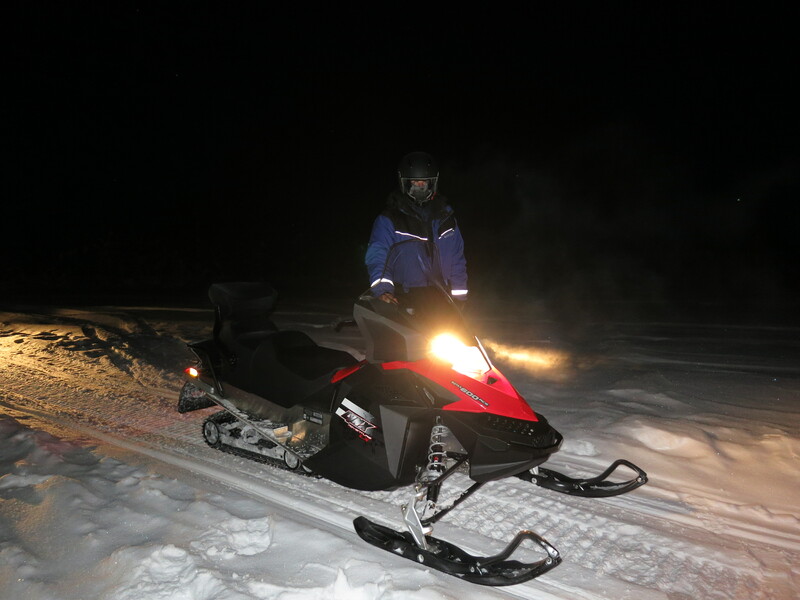 Finally, I ended the trip by enlisting myself on a snowmobile safari, in search of the Aurora. In contrast to the previous night, this night was completely cloudless, but this also made it bitingly cold, the car had -29°C on the dash when we left it to fetch our vehicles, and I was assured it was going to be much colder at our destination as it is a lake, and also after taking into account the effect of wind chill. On this holiday, I have conquered my fear of cold and learned how to dress comfortably down to about -10°C without feeling cold at all, but the negative thirties were certainly testing the friendship. After getting a quick tutorial on how to operate the snowmobile, we climbed aboard and headed off in search of the northern lights. However, the opposite of the previous night occurred. The clouds were gone, but the action in the sky was simply not happening. I should have been sad, but strangely, I wasn’t. When you are driving a snowmobile at 70km/h across a frozen lake, or the beautiful Arctic wilderness on a relatively still, cloudless and moonlit night, nothing else really matters. Everything about the experience was magical, from feeling the cool air across my face as I powered across the landscape, to the millions of stars glowing brightly in the sky, to the way the snow sparkled like glitter in the headlights. In both the emotional and physical sense, it was the coolest thing ever. My time in Kiruna has represented many extremes. It was my first time in the Arctic Circle, and indeed the furthest north I have ever been, the coldest I have ever experienced, and the first time I have ridden a snowmobile. It was an absolutely unforgettable time, and I do not regret coming one bit. As I continued to make my way around the world, the pace rapidly accelerated as the countries I hopped between lasted shorter in duration, and the stays became shorter and more frenetic. I had figured that by this stage of the holiday, my attention span for new places would have significantly diminished. This was especially true for London, a city to which I am no stranger. I was actually quite looking forward to the flight, as I was booked on flight BA4 – one of the flight numbers previously allocated to the Concorde’s New York-London services. While the age of supersonic travel has long ended without me ever having had a chance to indulge, the service lives on in the form of an all-Business class service (instead of the usual mix) using miniature Airbus A318’s (as opposed to the much larger widebodies) travelling in to London City airport (in contrast to the more remote Heathrow airport). 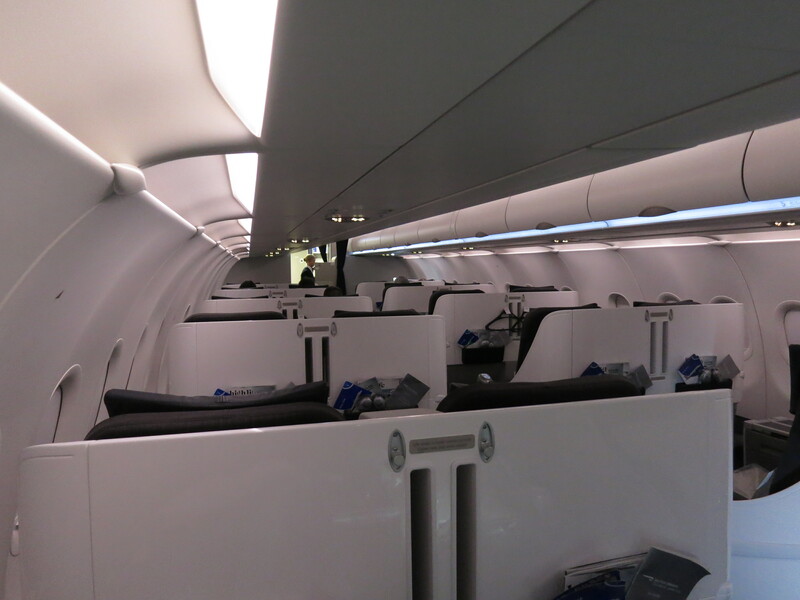 I was expecting great things from the intimate cabin of just 32 seats, especially when I discovered I was one of just a handful of people on the evening’s flight, but British Airways disappointed, and sadly it was the hard product that didn’t make the grade. You see, it appears that the bed that they use is designed for midgets, not men with 190 centimetres of height such as myself. It wouldn’t have been such a problem if I were able to use the full bed space, but the muppets fixed an immoveable headrest/pillow way too far down the bed, forcing me to curl my legs up uncomfortably the whole trip over the pond. Unexpectedly sleepless, I arrived at London City airport a zombie, and made my way over to Paddington, where I met Jess, a former colleague of mine who had just the day before took the plunge and moved to the UK. And at 10am, I went to sleep. I never intended to be jetlagged, but I had just totally wrecked my sleep cycle waking up again at 4pm. In a bleak attempt to salvage something of the day, we quickly got ready and headed to some of the few London landmarks I had not yet visited. First stop, Tate Modern. Now art is problematic, in that it is so subjective that you will never really appreciate everything fully. 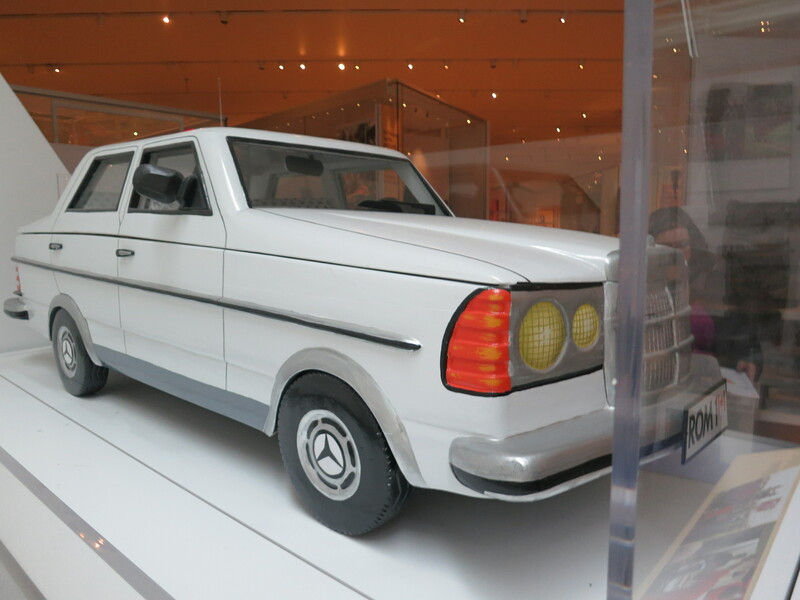 I felt that compared to ‘traditional’ art, I was much more inclined to like modern art, and this is based on comparing my experiences at Paris’ Louvre, which was somewhat wasted on me, to say, Brisbane’s Gallery of Modern Art. 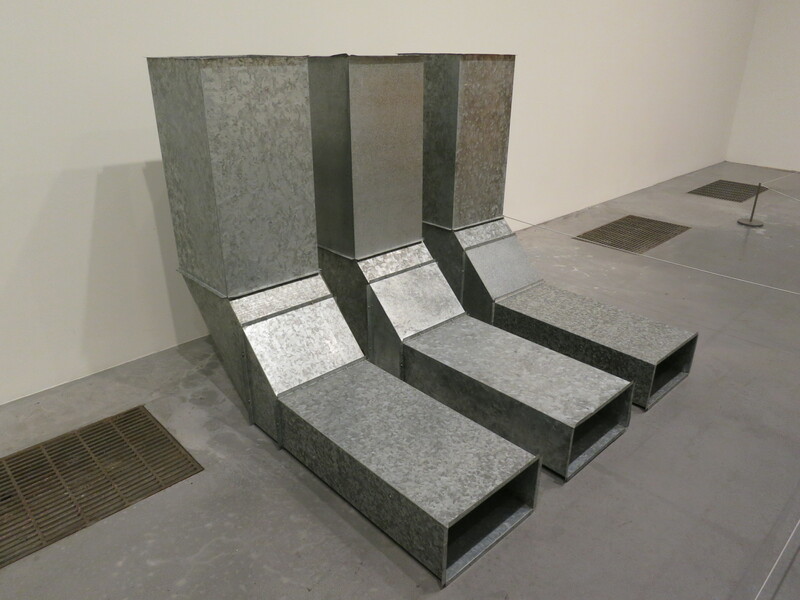 But when one of the first pieces you see is little more than air-conditioning ducts placed on the floor next to a descriptive white wall-mounted plaque, you start to question whether you actually ‘get’ art at all. Progressing through the museum, I felt this view was more and more accurate. Next stop was more up my alley, an arbitrary line which doesn’t actually exist – the Prime Meridian. A short journey across south London to Greenwich got us to the park in which houses the Royal Observatory, in which smart boffins quite some time ago invented a Cartesian coordinates system to allow worldwide naval navigation. Equipped with the GPS in my phone, I excitedly walked towards the line where I hoped to straddle two hemispheres simultaneously, for the second time this trip. 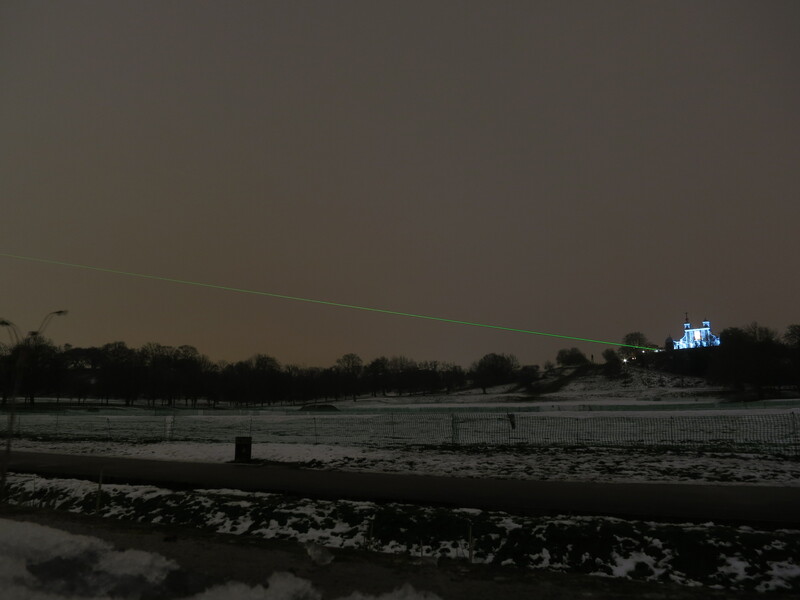 You can imagine my delight when I spot a high powered laser, carving a slice through the dark night sky, emanating from the roof of the observatory took away the guesswork for me. Satisfied with my geographical conquests thus far, we retired to the nearby Plume of Feathers pub for a hearty meal and round of trivia before heading home. The next day, in the interests of conquering new horizons, we jumped on a train and headed to Cambridge for the day. Due to my self-inflicted jetlag, we didn’t leave London until 3pm, but attempted to make the most of it anyway. On arrival, we found there was little to do but admire the beautiful architecture and intricate gardens and the daily life of a living, breathing university town amongst the narrow, cobblestone streets. The city was blanketed in a thin layer of fresh, crisp snow giving a wintery novelty I had never experienced before. 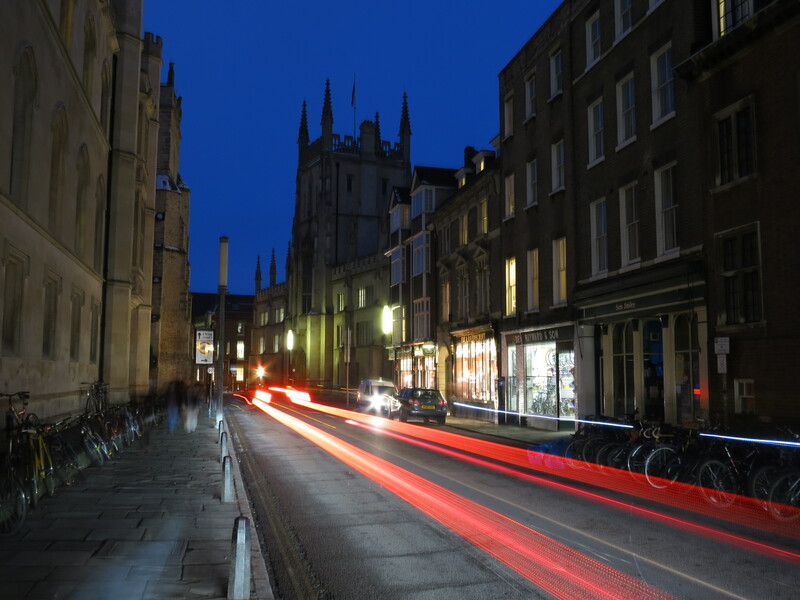 While Cambridge contains little to tempt the typical tourist, especially at 6pm in winter, it was a relief after the bustling metropolises I’d visited of late to return to a tranquil place where people live with a distinct sense of normality. On the way back to London on that final night with but a week remaining in my trip, I thought I’d return a little bit of normality of my own to my routine; I had Nando’s Peri-Peri Chicken for dinner. Who knew the Prime Meridian was a real thing? So much to do, so little time. This is very much becoming a theme of this trip. 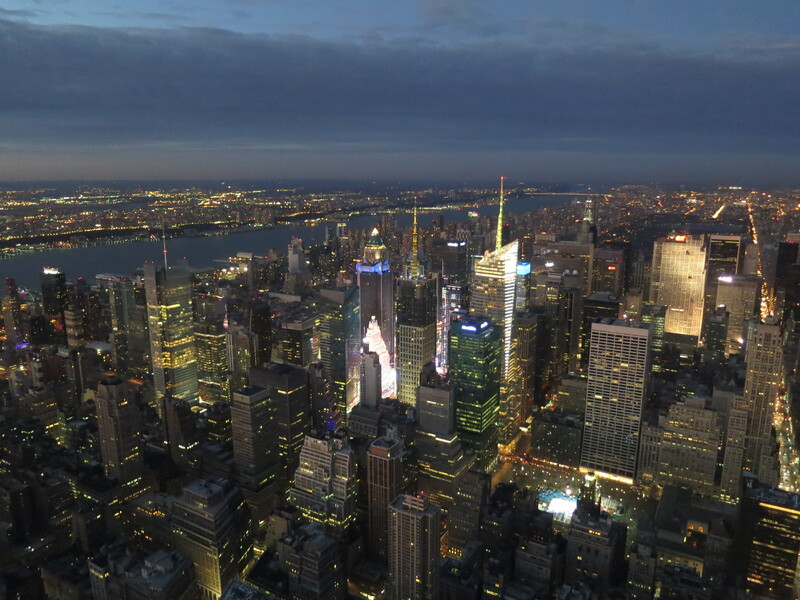 Arriving off the Acela Express mid-afternoon, I made sure my first stop was the Empire State Building, just three blocks away from where I was staying. Ponying up a little more to skip the lift queues payed off, as I arrived just in time for an absolutely gorgeous sunset shining over the financial district. This was a fantastic opportunity to orientate myself with the city, and to listen to an audio guide from Tony, with an extremely thick New York accent, who told me that Kuala Lumpur’s Petronas towers are the tallest buildings in the world. They haven’t been since 2003. Damage leftover from Hurricane Sandy was still evident a couple of months on. Places like the island that houses the Statue of Liberty are not open pending repairs following the storm surge, exhaust pipes running from manholes in the middle of city streets to keep the fumes from replacement electrical equipment underground from flooding the street cause obstructions to traffic, and sections of the New York City subway remain inaccessible. 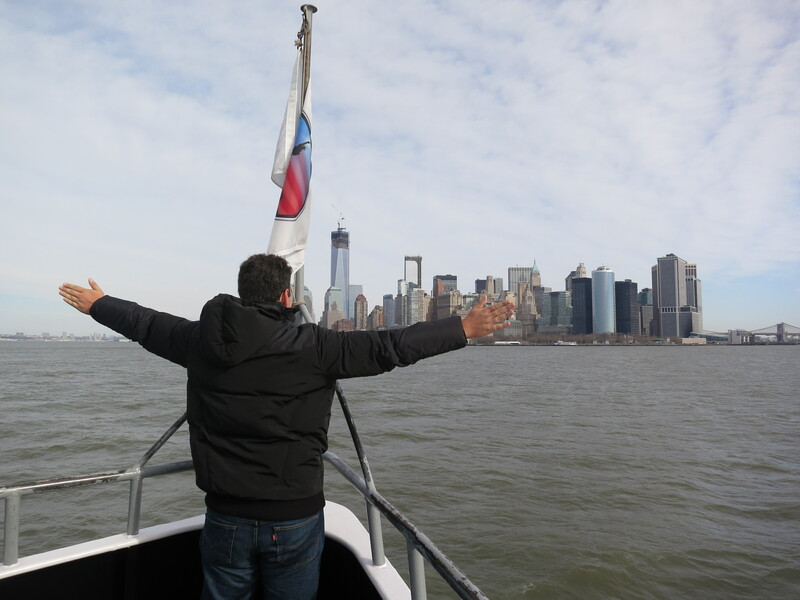 After a cruise to at least visit the lady with the enormous crown from afar, I went for a walk with a Lithuanian I met on the boat, and visited the World Trade Centre memorial site. After getting tickets and passing through a security checkpoint, we got to enter a fenced off plaza, complete with two water features that apparently take up the former building footprints of the twin towers, surrounded by names. It was a let down. Over 3,000 people die in a tragic event and the best they could do was recycle a bit of water? Within ten minutes, much longer than the wait for security mind you, we were on our way again and visited a real attraction, the High Line. A section of a disused freight railway viaduct running over the streets in lower west Manhattan was converted into an elevated linear park, bringing much appreciated green space to a part of the city that does not have much, and is a few kilometres from Central Park. This was extremely popular with both locals and tourists alike, with the walkway tastefully decorated with an assortment of modern artwork along the viaduct and fixed to the sides of surrounding buildings. 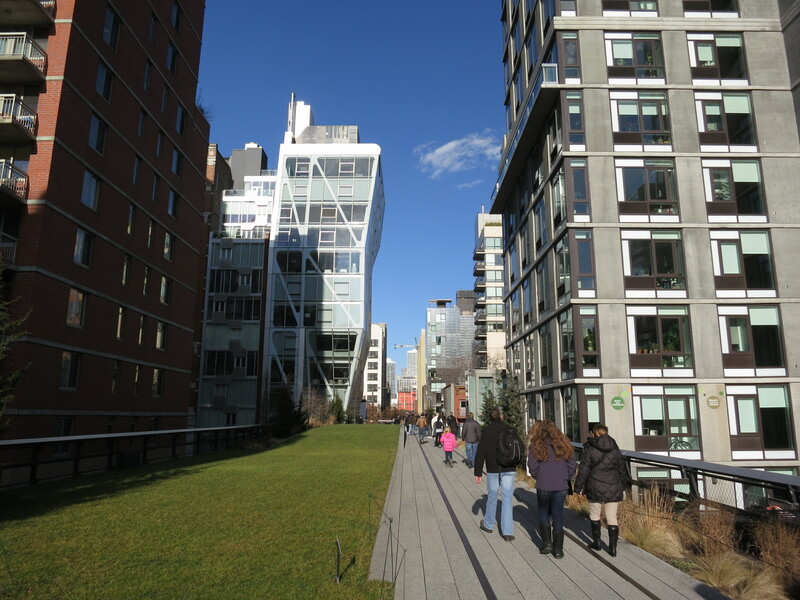 Due to it’s success, the High Line was extended last year, and now spreads for about two kilometres. Needless to say, the local realtors list it as a major selling point on most nearby listings. 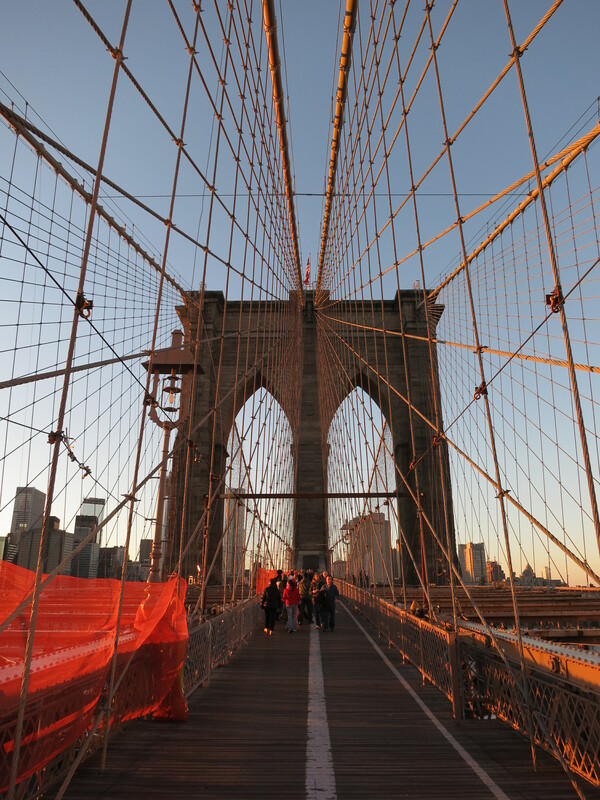 After that, I felt I had to do the token walk that so many movies and television shows had taught me was a rite of passage – walk across the Brooklyn Bridge. So I hopped on the subway one stop across the river, got off, and immediately walked back the way I had come. The walkway over the bridge is in the centre of the two road carriage ways, but elevated above both. Because of this, the views were unobstructed, and were incredible, especially in the late afternoon as the setting sun afforded the skyscrapers of the richest city in the world a befitting golden gloss. The bridge was, to my engineering eyes, a work of art. In the evening, I attended the Broadway musical adaption of my favourite childhood film, The Lion King. It stayed fairly true to the plot and dialogue of the original film, but manage to cram in a couple of more adult references on occasion. But it was the imaginative costumes and masks, which transformed the cast into the animals of Pride Rock that stole the show. For the most part more symbolic than realistic, I was amazed the way that the actors were somehow still able to convey emotion from relatively static masks simply by moving them around on their pivot hanging just over their heads. My personal favourite was the way they represented giraffes, by giving a couple of the cast stilts for arms and legs and had them practically crawling around the stage. There was even the blatant Disney cross-promotion we have known to grow and love, with the lyric “I’ve got a lovely bunch of coconuts” that Zazu sings whilst imprisoned by the evil Scar substituted with Mary Poppins’ supercalifragilisticexpialidocious song, the musical adaption of which also happens to be playing on Broadway currently. In guide books and magazines and online, there are very strongly worded warnings about the dangers of jaywalking in Manhattan, how much worse it is than any other place on the planet, and that you’re going die if you attempt it. Rubbish! Don’t believe it. Manhattan is a jaywalkers paradise. 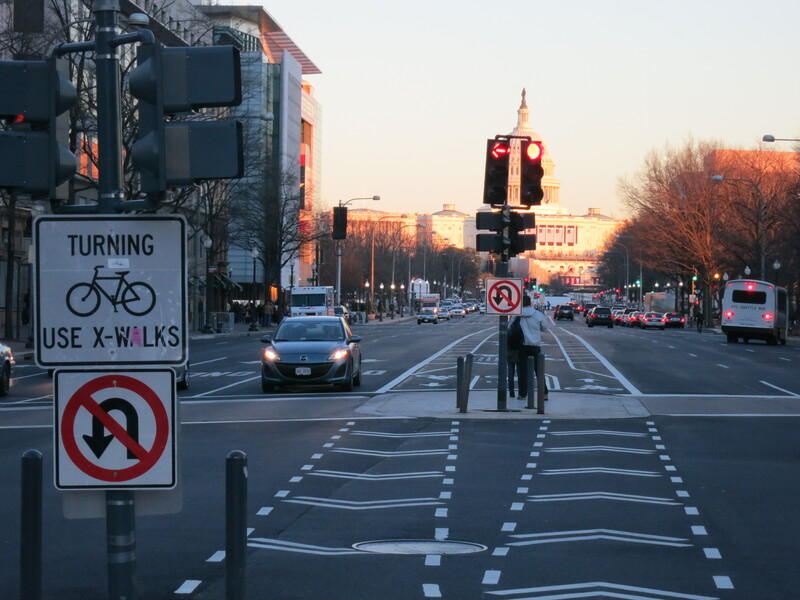 Almost every street is one way, traffic is slow, and right turn on red is not permitted – it is one of the most pleasant places to jaywalk. One of the unexpected highlights of the visit was when I undertook the NBC Studio tour with a bunch of foreigners who also had little clue about many of the domestic shows and stars the pages namedropped. 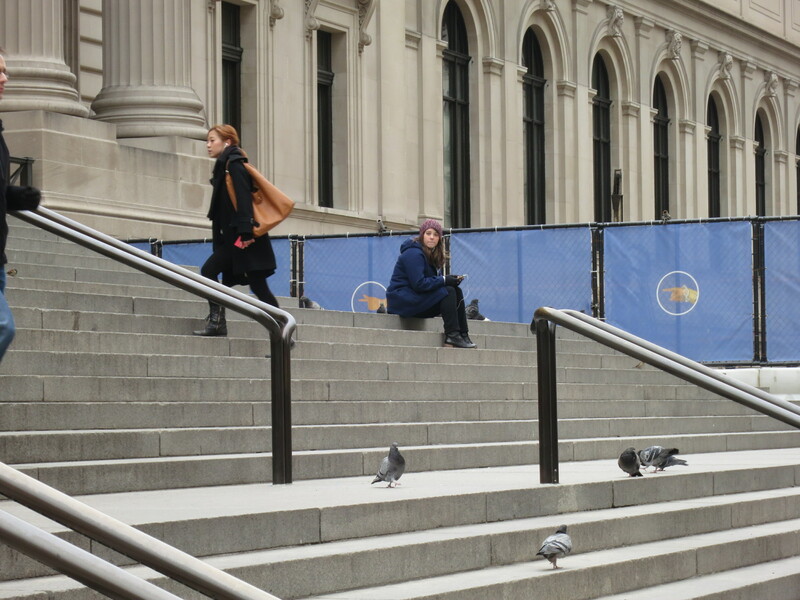 Watching the television show 30 Rock had prepared me well for this visit, as it turns out the page program was alive and well. Though they are much smarter and prettier than the character of Kenneth portrays on the show. Visiting television studios has always interested me, as the scale never seems to be the same as you expect from what you see on television. I got to sit behind my third television news desk, even if this is a fake one made up for the tour. But sometimes, after experiences like this, I feel like I missed my calling as a weather presenter. I just don’t have the legs for it. I went to Washington DC with the express intention of visiting the Smithsonian museum, and what a mission that had become. As I quickly discovered when I got there, there are far too many branches of the Smithsonian to discover, well over a dozen! 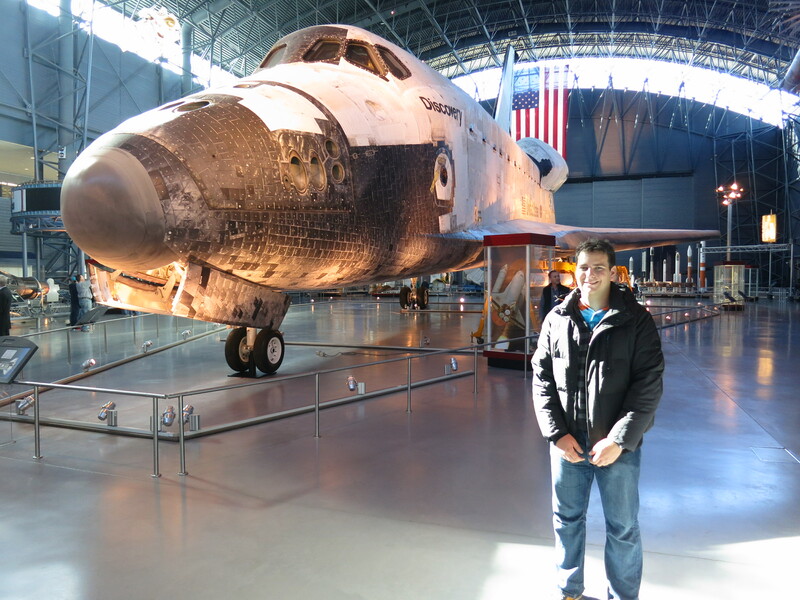 So I selected one; disappointed that I was unable to see a Space Shuttle ‘in the flesh’ in Florida, I made sure I visited the Udvar-Hazy Center of the Air and Space Museum. Having left there, I made my way back into the District of Columbia and visited the National Mall. Challenged with having so many attractions to see, I picked up a hire bike and set off on a journey for the two hours of daylight that remained. 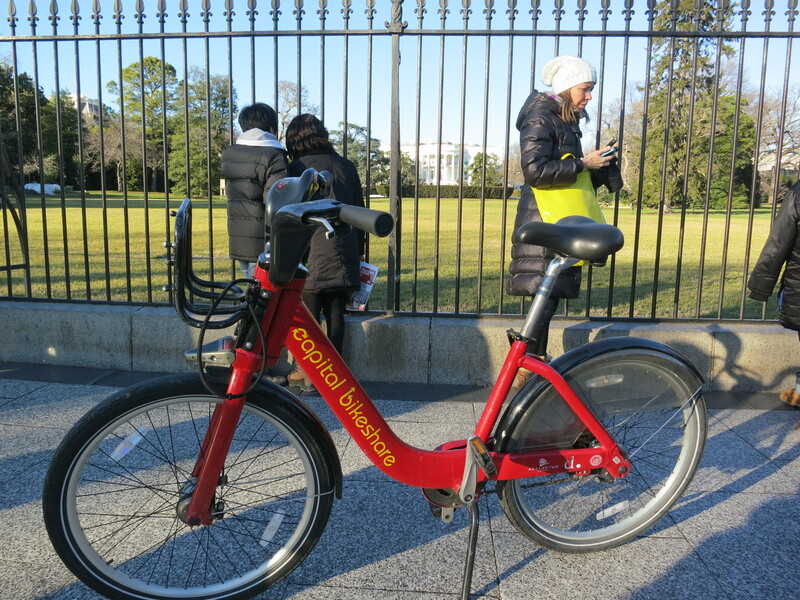 It was not until seeing the massive tracts of public space stretching from the Capitol building to the National Monument and the White House that it really became clear how big of a deal the Presidential Inauguration, due to happen In three days, actually was. Barricading, temporary viewing screens, and portaloos were everywhere stretching for kilometres. Newspapers were full of articles expressing concern about inane but related issues such as the 40% reduction in portaloos compared to the last inauguration, and what that will mean for public hygiene. 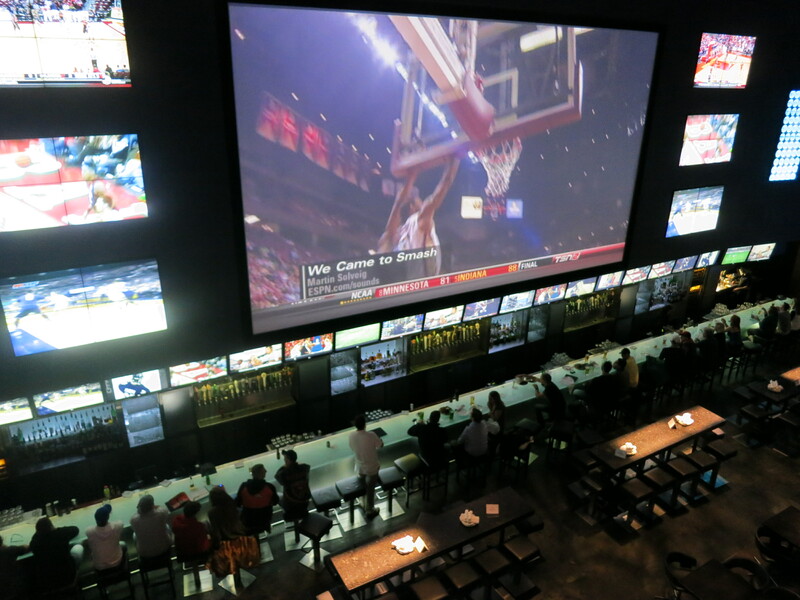 Television stations were advertising rolling coverage starting at 4am for two days straight. 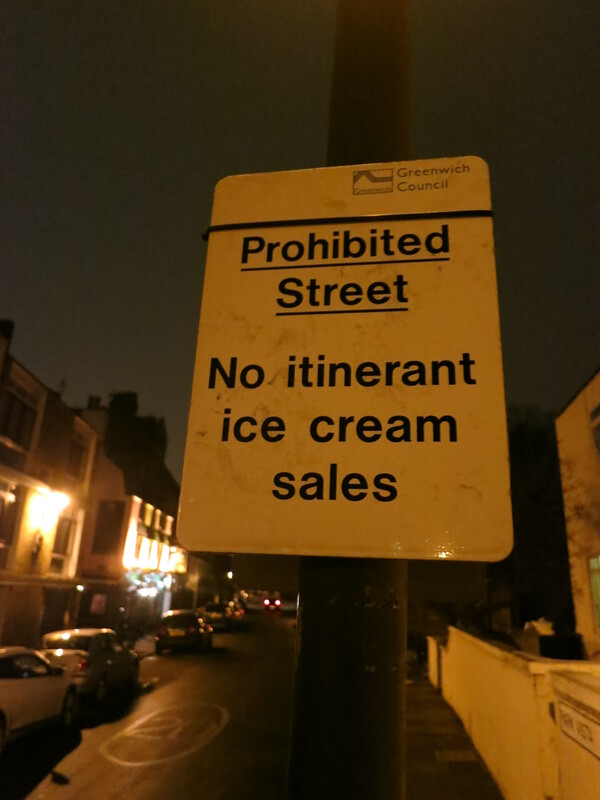 Road signage told people to avoid travelling in the inner city. Stores popped up on the street selling all kinds of gimmicky merchandise that was readily snapped up by the punters. The Washington Metro was littered with signage and announcements telling people to only travel if they had tickets for the inauguration, buy their stored value fare cards in advance, and to avoid changing lines if possible. I’m not sure what the exact figure was, but they were expecting 800,000 – it was a big deal. I even stumbled on the Friday afternoon outside broadcast of the CNN programme, ‘The Situation Room with Wolf Blitzer,’ in which an anchor, with an very appropriately fierce name for a war journalist who cut his teeth in Afghanistan, always starts his program with some hard hitting and often political journalism with a very strong US bias (the topics of the day were the French intervention in Mali, and Lance Armstrong’s confession on Oprah), and always disintegrates by the end of the hour with some soft filler stories about a new diet pill or how cul-de-sacs are the new suburban menace. He always looks so uncomfortable doing those stories. I managed to bonehead my way into many shots during the first half hour, thus making my worldwide television debut on CNN International. I tried, and failed, to pull wheelies on the incredibly heavy bicycle in the background of the camera shot live to an audience across North and South America. The show was scheduled to go to air in the Asia Pacific region seven hours later, I told people at home to record it, but apparently it was substituted by some actual breaking news, which was sad. I’d like to think that it was played at some point later in the day. By then, the sun was setting, and I ventured into the city centre in search of the food I had been craving on many occasions over the previous seven weeks, delicious Nando’s chicken. Washington DC is the only place in the USA where it can be found, and it didn’t let me down. There are three true inspirations for my trip to Montreal. A work colleagues incessant boasting about how fantastic the city is. He stayed there for a year and fell in love with the city. 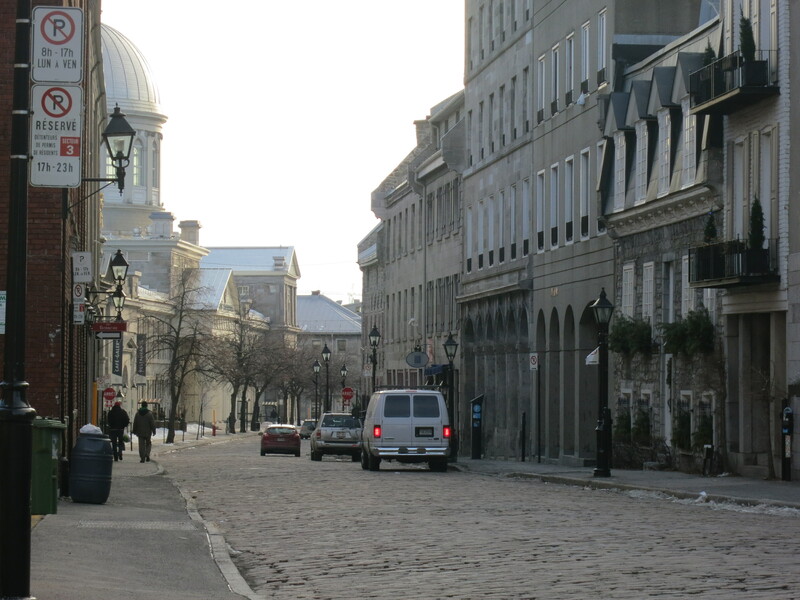 The idea of walking the streets listening to predominantly French-speaking people having adapted to what is still a quite North American-style city. Rihanna did an excellent live performance of Umbrella there that was recorded and shown on Channel [V]. Am I still in Canada? Unfortunately, I have quickly learned that attempting to cram city visits around two nights just doesn’t work. My time in Montreal consisted of arriving at dusk on the train from Toronto, venturing into the -12°C evening to explore and eat some delicious Chinese for dinner (the culinary diversity is excellent there), sleeping in until 2pm the next day, walking around the old town and then up Mont Royal with the remaining 2.5 hours of daylight, enjoying a beer with some fellow travellers, sleeping again, and then catching a plane out of there. But for the two and a half hours of sunny skies that I did get to see Montreal, it was magnificent. The old part of the city was a pleasure to walk through, resplendent with gorgeous architecture with very obvious European inspiration. 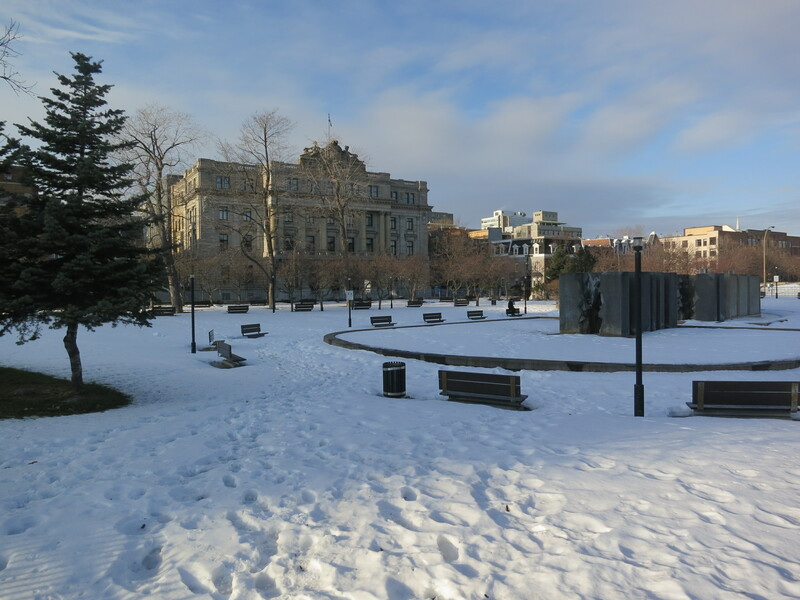 A light layer of snow and ice carpeted the parks and other public spaces, while the municipality did an excellent job of keeping the roads and footpaths clear. 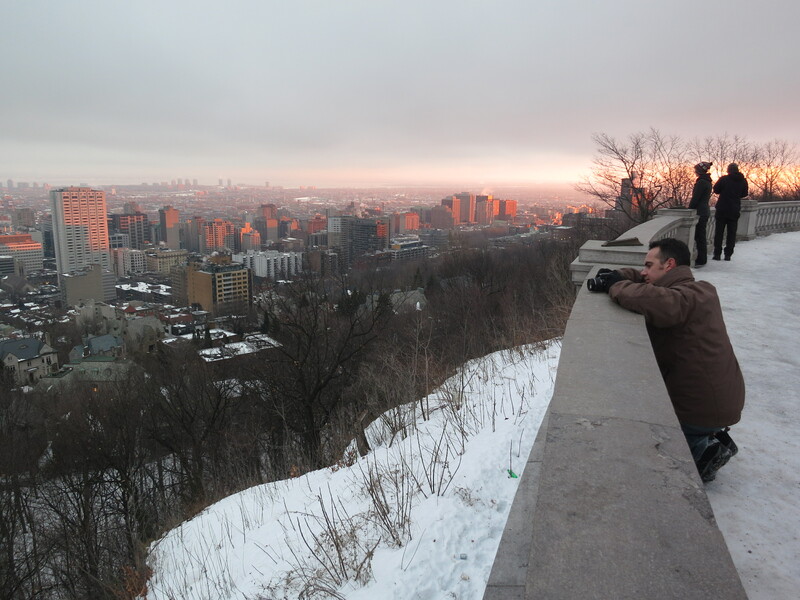 I did go for a brief journey up Mont Royal to catch the sun setting over the city centre, and it was well worth it. It is technically a hill, about 160m in elevation on the edge of the financial and university districts, but the locals get upset if you don’t describe it as a mountain. Even in the coldest days of winter, the path to the summit is very popular with runners keen to keep fit. I don’t know how they do it, breathing in the terribly cold air. As for the permeation of the French language, Quebec is the only province where the official language is solely French, and there is no need to produce official documents and signage in English. While much of Quebec is not, Montreal is very much a bilingual place. It is extremely confusing to hear people seamlessly switch from, to my untrained ear, beautiful-sounding French, very quickly to perfect Canadian accented English. And they can instantly tell from the moment you say your first bonjour which of the two languages to respond to you in. I got a brilliant deal on a down jacket shortly after arriving in Toronto. Down from the list price of $380ish, I got it for $130, and it is fantastic. Best of all, when I lean against a wall, it is always a soft landing as the air is slowly pushed out as the down compresses. But I needn’t have bothered so soon. I arrived in a heatwave, with two of the warmest January days ever recorded in the city, with the mercury topping 14°C. My host, friend and Toronto native Daniela, didn’t hesitate to inform me how lucky I was. 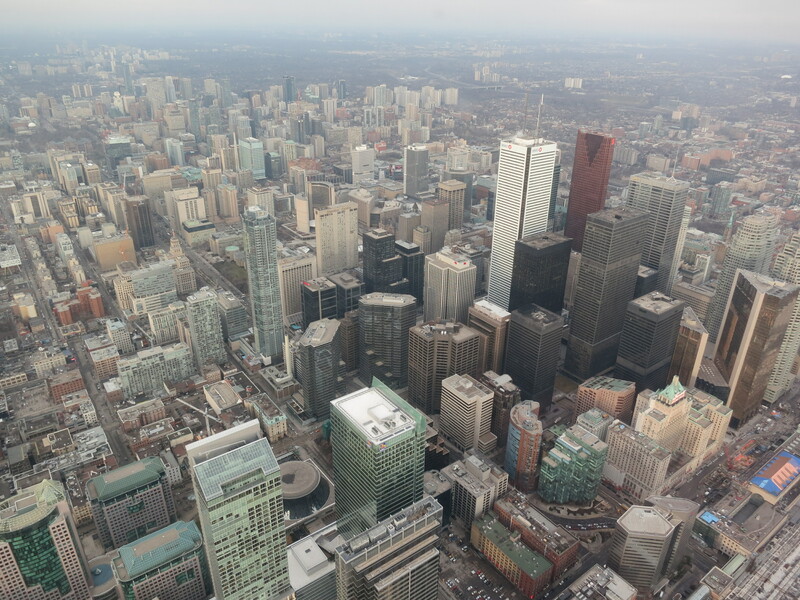 You can add Toronto to the fast growing list of I-could-live-here cities. Diverse and cosmopolitan, active but homely, Toronto (pronounced Tron-no in the local dialect) felt like it had everything you need to live a comfortable existence, without it every really feeling like it really houses the six million inhabitants that call the metropolitan area their home. Or maybe on this visit, I just lived in a tranquil suburban bubble. The days when the temperature finally did drop to it’s usual winter levels, swinging a few degrees south of zero, didn’t really phase me, which was entirely unexpected. With the help of my host, I have finally cracked the code, and have successfully learned how to dress appropriately for weather below 10°C and feel toasty warm – something I have always dreaded facing due to unpreparedness, and an issue we simply do not have in my part of Australia, where the coldest winter day of the year will linger around 6°C for a few brief moments before sunrise. On the topic of cold, I was mildly disappointed that the ice hockey season was still on ice, as the players were still arguing with their wranglers over revenue sharing. So I wasn’t able to visit my first match, starring the Toronto Maple Leafs, which I believe to be the Chelsea of the National Hockey League – the team everybody loves to hate. The feuding factions had come close to a decision, but the league for the year had not yet started, several months late. My first exposure to the sport I always imagined was simply glorified violence masquerading as Disney on Ice, will have to wait, and the perception lives on. 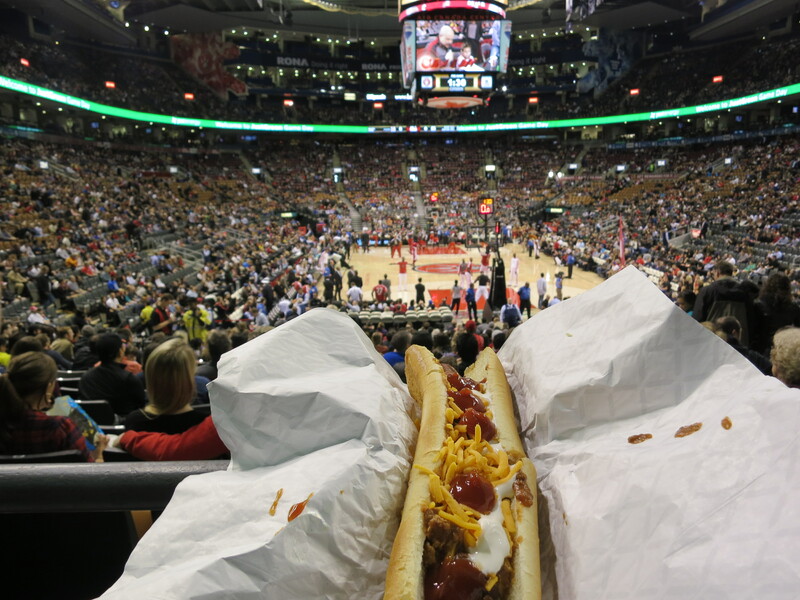 But Maple Leaf Sports and Entertainment Company, which owns just about every sporting franchise in Toronto (four in total), and either owns or manages their stadia too, still earned money out of me, when I attended an NBA game as a substitute. It was nail bitingly close, but the Toronto Raptors ended up losing to the Milwaukee Bucks in the final few minutes. I was impressed with how organised the whole event was, where any timeout, as little as thirty seconds, saw entertainers of many persuasions blitzing the court to motivate the home crowd, or at the very least, retain their attention. Many of these things, such as competitions, and shootouts are the kinds of events we would try and draw out over a twenty minute half time break at a football or rugby match in Australia, here they were happening in about two minutes or less, and very frequently. Daniela and her sister took me on a day trip to the Canadian view of Niagara Falls, what I am assured is the good side. And though the flow is not as voluminous, I dare say that it is prettier than Iguazu Falls that I wrote about previously, and is therefore better. The horseshoe shaped waterfall, in particular, featured a beautifully uniform stream of water in what appeared to be a perfect arc, gushing vigorously into the unsuspecting river below. The force of the impact on the water caused some droplets to bounce back in the air, forming a cloud of mist that focussed in the centre of the vista. 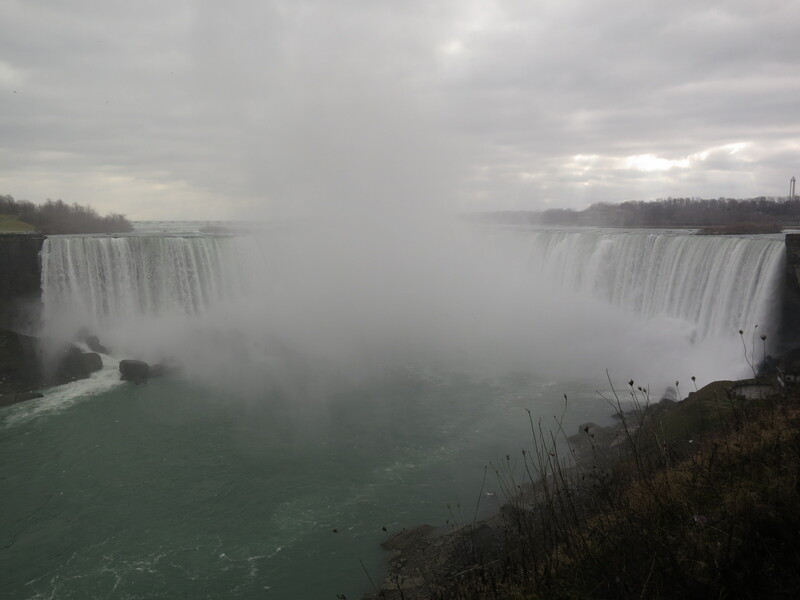 If you haven’t noticed, there was an enchanting symmetry about these falls which really appealed to the engineer in me. It is this element that was greatly missing at Iguazu, which by comparison, was quite haphazard and inelegant. I also got to witness the captivating sport of curling, one that us Australian’s are enamoured with once every four years when the Winter Olympics are held. Straight from the things-that-surprised-me-but-really-shouldn’t-have-if-I-had-thought-about-it list, curling is quite a popular sport in Canada, and I was taken to a curling club to watch elite curling athletes ply their trade. 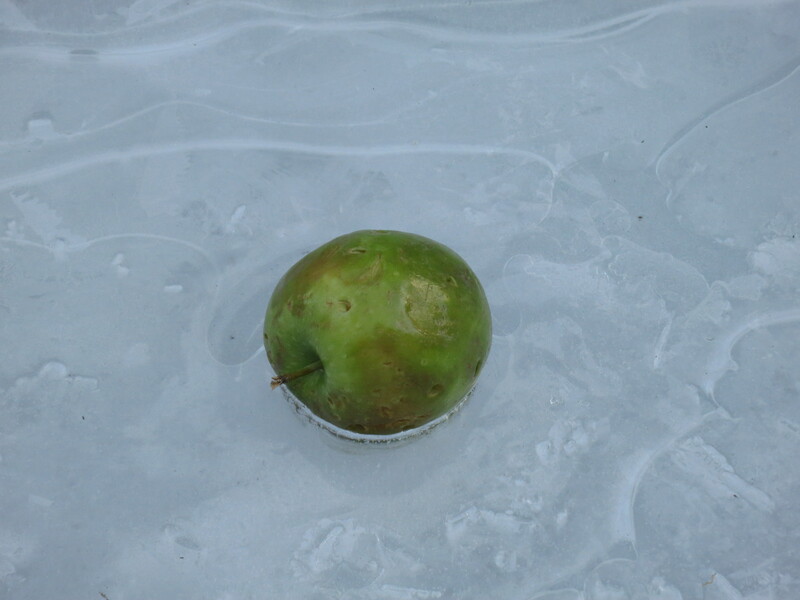 Don’t be mistaken, it is not the winter equivalent of lawn bowls, it is much more active (and youthful) than that. While in Toronto, Daniela’s family made me feel extremely welcome, and I got to enjoy their tradition of guessing the winners of the Golden Globes and then watching to see who got the most correct. I came last, with 5 out of 25. The most disappointing part, was that statistically speaking, I got the same score as the average expected outcome if I were to simply randomly select winners for everything. I should have just gone with the age old multiple choice trick and just selected ‘C’ for everything, I probably would have done better.